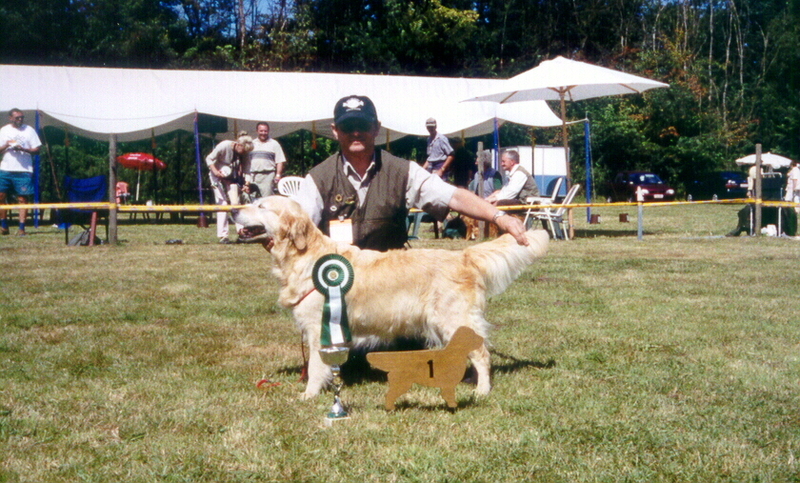 Chess was born in Lenka's Golden Pride kennel as a cross between a dual purpose moeder (Darell Jarrow Lenka) and a father out of Tineke Antonisse's famous working line (Barrow van de Woudstreek). Temperament she had abundantly and to be honest she came a bit too early in my life, I had trouble keeping up with her. I almost threw in the towel but in the end I'm glad I didn't. 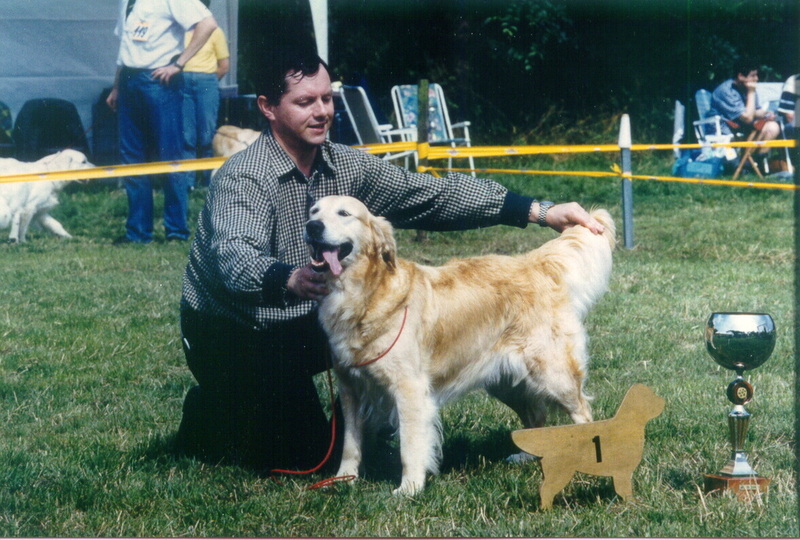 Chess teached me how to handle a Golden with temperament. She led me through hunting certificates, working tests and novice field trials. Before I realised what was happening we could enter shows in the working class, and with success too. We went picking up regularly and that turned out quite fine. Only hares were a bit too much for her, I never succeeded to stop her from running in on hares. Chess gave us Tara out of Th. Rocksteady, in this way combining our two lines both originating from Kroonkennel. As such she was a corner stone in our evolution.